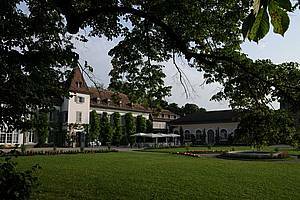 An international group of bible scholars, mission theologians and mission leaders met on 1-4 May 2009 at the Ecumenical Institute, Bossey, Switzerland to draft a paper on 'Foundations for mission', theme 1 of the Edinburgh 2010 study process. Members of the working group were drawn from different confessional groups and represented different institutions and organisations in all continents. Their paper will formed the first chapter of the preparatory publication which informed discussions in Edinburgh and around the world in 2010. The group drew on their own expertise and also on the work of groups already working on this theme for Edinburgh. A consortium of umbrella ecumenical, evangelical and academic mission groups in Britain and Ireland have been studying how organisations and individuals are motivated to do mission and how they justify it. This research was represented at the consultation by Canon Janice Price and Dr Paul Rolph. A working group of the Francophone Association for Mission Studies, represented by Revd Jacques Matthey, has been researching 'mission in the Bible'. 'Towards 2010' which met in Scotland between 2002 and 2007 invited mission scholars from many different parts of the world to reflect on the original commission themes of Edinburgh 1910. Dr Emma Wild-Wood represented their work at this event. Other participants were: Dr Edmund Chia, Catholic Theological Union, Chicago, USA; Dr Simanga R. Kumalo, University of Kwazulul Natal, South Africa; Dr Christina Manohar, Union Biblical Seminary, Pune, India; Rev. Dr Nestor Miguez, Instituto Universitario ISEDET, Buenos Aires, Argentina; Dr Peniel Rufus, United Theological College, Bangalore, India; and Prof. Petros Vassiliadis, Aristotle University of Thessaloniki, Greece. Dr Beverly Mitchell, Wesley Theological Seminary, Wasshington DC and Dr Damin So, Oxford Centre for Mission Studies, also contributed to this study. The event was hosted by Dr Deenabandhu Manchala, who leads the World Council of Churches project on 'Just and inclusive communities', which has also been considering 'Foundations for mission'. The consultation was facilitated by Dr Kirsteen Kim, Edinburgh 2010 Research Coordinator.